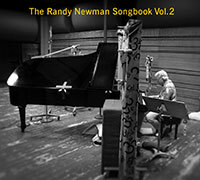 To our surprise, we recently discovered a few questionable words on Randy Newman‘s The Randy Newman Songbook Vol. 2. We apologize for not recognizing this initially. In other Randy Newman news, he will be performing live on Late Night with Jimmy Fallon tonight! Who knows? Maybe he’ll let loose a couple curse words. Check your local listings for times.